The revised trade paperback edition is available from Amazon.com and the Florida Historical Society book store in Cocoa Village, FL. 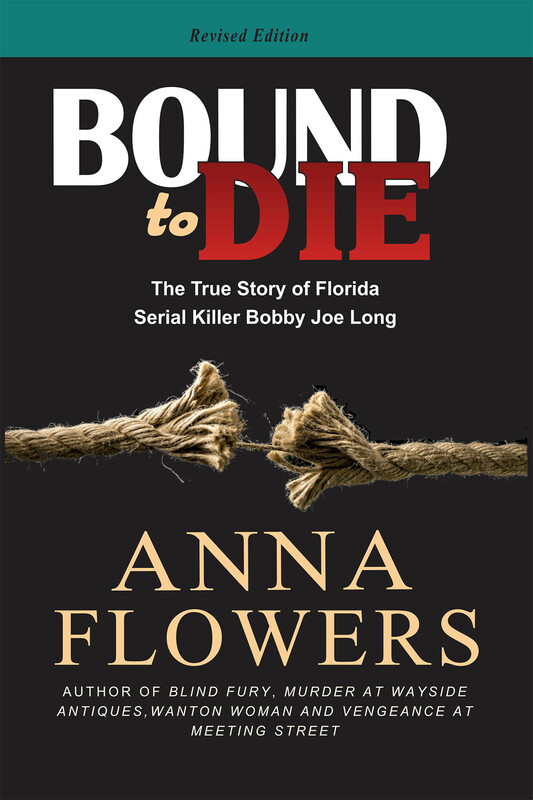 Description: Bound to Die is the true crime story of Florida serial killer Bobby Joe Long, who was convicted of the heinous killings of nine women in 1984 in the Tampa Bay area. The first body of 19-year-old disco dancer Lana Long was found in a field on Mother’s Day with her legs grotesquely ripped apart. Six months later, the bloody rampage ended when the ninth victim was discovered. All had been tortured with ropes and savagely beaten and raped. The killer’s confession of his crimes is haunting. The vividly rendered results of his trials and appeals are equally shocking. Four major television presentations have been made featuring this case, with author participation. 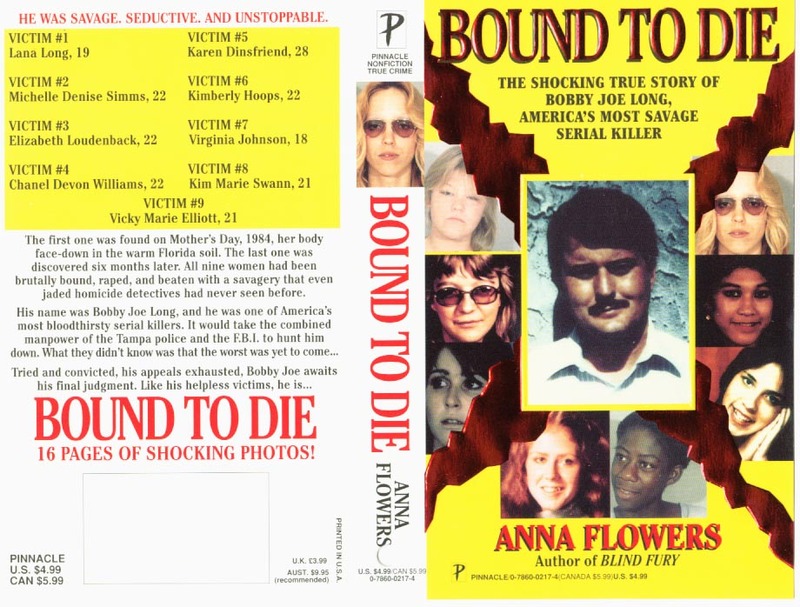 Shortly after first publication of BOUND TO DIE, the case was featured on a segment of "Medical Detective," which has been aired sporadically for years. In 2012, Flowers was interviewed for the pilot show of "Killer Profile," aired on the Biography channel, and later that year for "Surviving Evil," in an episode called, "Nobody's Victim". On July 1, 2014, she was filmed at her Florida home by a British production company for the show "Born to Kill?" aka "Twister" - for showing internationally on Investigative Discovery. This is a classic Florida serial killer case involving excellent police detection before DNA, and a formidable Task Force that worked together for the first time, to apprehend the murderer. The original book, published by Kensington, NY, (1995) was introduced at Bouchercon in Nottingham, England. It received seven mass media printings and was a Mystery Guild Book Club selection in hard back.